Symantec's Norton Utilities 15 provides the essential tools you need to optimize the performance of your PC. It is an application suite that will provide you with the essential tools you need to optimize the performance of your Personal Computer. Norton Utilities finds and fixes broken registry links and damaged files, frees up disk space, reclaims system memory, accelerates startup time, and boosts application and system performance. It opens applications faster, and lets you run more of them simultaneously. Norton Utilities can help make your PC will run like new again. 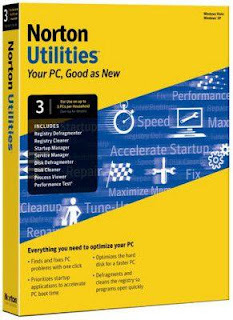 Unlike other PC tune-up software, Norton Utilities focuses 100 percent on performance and provides easy-to-use tools that make a real difference. Make your computer boot faster by prioritizing the startup programs with Startup Manager. Instead of letting Microsoft Windows load programs you don’t need, Startup Manager loads only the programs you choose. »»» Finds and fixes PC problems with one click—Automatically detects and fixes Microsoft® Windows® issues so you can spend more time using your PC and less time troubleshooting. »»» Speeds up PC boot time —Accelerates PC boot time and reduces unnecessary waiting by prioritizing startup applications. »»» Reclaims PC memory—Optimizes the registry for quicker application launch and a faster running PC. »»» Frees up hard disk space—Boosts overall PC performance by defragging your hard drive, freeing up storage space, and recouping system resources. »»» Protects your personal information—Permanently deletes unwanted sensitive files from your PC so hackers can’t access your data. »»» Helps prevent system errors—Undoes erroneous registry tasks and commands to help keep your PC running error-free. »»» Benchmarks your PC’s performance—Determines whether your PC is performing at its best by benchmarking it against similar systems. »»» Automatically detects and fixes Microsoft® Windows® issues to keep your PC running fast and error-free. »»» Registry Undo eliminates erroneous registry tasks and commands to avoid system errors. »»» Puts you in charge by allowing you access to your Microsoft Windows settings. »»» Startup Manager and Service Manager speed up PC boot time by prioritizing startup programs and Microsoft® Windows® services. »»» Registry Defragmenter defragments and repairs the registry to help applications launch faster and improve overall PC performance. »»» Registry Cleaner reclaims PC memory so you can run more applications simultaneously. »»» Disk Cleaner optimizes the hard disk to free up disk space and recoup system resources. »»» Disk Bleacher permanently deletes unwanted sensitive files so hackers can’t get at them. »»» Speeds up PC boot time by prioritizing startup applications. »»» Fixes common PC problems automatically — one-click is all it takes. »»» Maximizes overall system performance to help make your old PC run like new again. 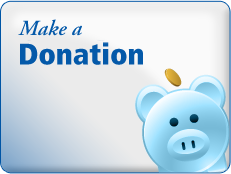 »»» Optimizes the registry so programs open faster. »»» Defragments and cleans your hard drive to free up disk space. »»» Recoups system resources for a fast running PC. »»» Optimizes PC memory so you can run more applications simultaneously. »»» Purges unwanted sensitive data to increase privacy and security. »»» Undoes erroneous registry commands to avoid system errors.